Czech company Excalibur Army has developed a new version of the 8×8 Pandur II CZ armoured fighting vehicle (AFV) called the Pandur II CZ Fire Support Vehicle (FSV), which has recently undergone trials in Indonesia alongside an infantry fighting vehicle (IFV) variant. The Pandur II CZ FSV is fitted with the Belgian CMI Defence CT-CV 105HP turret, which is armed with a 105 mm rifled gun fitted with a thermal sleeve, fume extractor, and muzzle brake. The gun is fed by a bustle mounted automatic loader that holds ready for use 105 mm ammunition. The turret also features a co-axial 7.62 mm machine gun (MG) and an additional MG mounted on the left side of the turret roof. It is also provided with a bank of four electrically operated smoke grenade launchers. A computerised fire control system (FCS) is fitted, with the commander and gunner equipped with stabilised day/thermal sights and a laser rangefinder. A commander’s panoramic sight is installed on the right side of the turret roof and enables hunter/killer target engagements to take place. In addition to firing conventional natures of 105 mm ammunition, the 105 mm gun can also fire a Falarick laserguided projectile out to a maximum range of 5,000 m.
It has a high elevation of up to +42° that enables the vehicle to perform indirect fires. The Pandur II CZ in the IFV configuration has been demonstrated in Indonesia fitted with a Brazilian ARES remote-controlled turret (RCT) armed with a Northrop Grumman Armament Systems 30 mm MK44 dual feed cannon and co-axial 7.62 mm MG. It is also fitted with a computerised FCS and stabilised day/thermal sights incorporating a laser rangefinder for both commander and gunner, with the commander’s panoramic sight mounted on the top left of the turret. Star Defence Logistics & Engineering (SDLE) has won a multi-million Euros contract for the reactivation, maintenance and modernization of 80 first-generation Centauro Cavalry Reconnaissance Vehicles (CRV) of the Royal Jordanian Army. This is the first time in the last twenty years that a company from the Spanish defense industry has obtained an export contract of this magnitude for maintenance, modernization of military armoured military vehicles and associated training. The fleet of 80 Centauro CRVs, originating from Italy, will have its operational relevance extended through the modernization of the fire control system and the thermal cameras. SDLE was selected in an international tender which also included the Centauro CRV manufacturer, the Iveco-Oto Melara (CIO) consortium. The contract was signed a few months ago, after two years of negotiations, during which SDLE and the Jordan Army Forces (JAF) – in the Knowledge of the Spanish Ministry of Defense – have set the contractual scope. The contract constitutes an integral service for which SDLE is committed with the JAF for provide technical assistance during the entire life cycle of these vehicles. In addition to the modernization and supply of spare parts and special tools for the Centauro CRV, SDLE will provide the necessary advice and training for the reactivation of the vehicles by the Royal Jordanian forces. In order to provide an Integrated Logistic Support (ILS), SDLE has dispatched a team of between 10 and 20 technicians and engineers to the facilities of the Royal Jordanian Army. Star Defense Logistics & Engineering has an extensive experience as independent distributor of spare parts for military vehicles and equipment. SDLE is one of the main suppliers of the military sector in Spain, and is already exporting products and services to more than 25 countries. Lithuanian Defense Minister Raimundas Karoblis announced on 22 November that the country plans to acquire L-ATV combat multi-role vehicles from the USA. According to Leta.lv citing the Lithuanian Defense Minister, it is anticipated that the L-ATV (JLTV) contract will be signed in 2020 and will cost $114 million (Euro 100 million). “The (technical) specifications are being finalized now. We plan to move toward final decisions next year or in 2020,” the minister said. 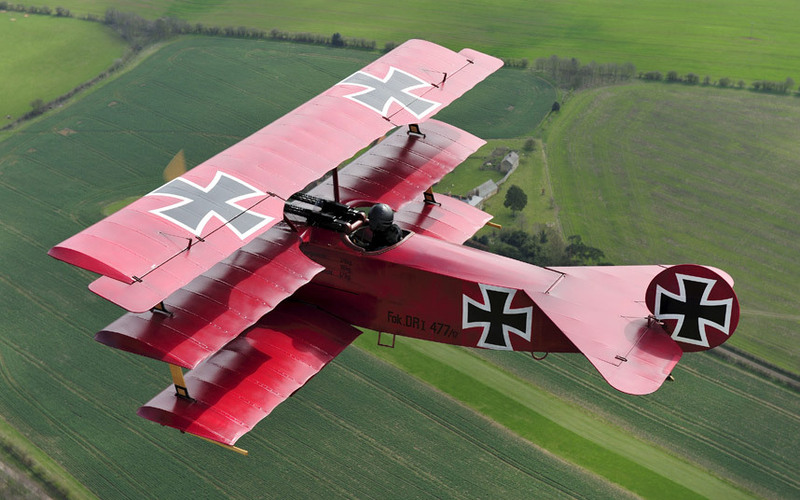 “About 100 million euros have been earmarked,” he added. A potential contract, announced on 22 November by Raimundas Karoblis, will be worth more than $114 million (Euro 100 million) and covers delivery of up to 200 Light Combat Tactical All-terrain Vehicles (L-ATV), or JLTV, from Oshkosh Defense. The vehicles would be distributed across the Lithuanian Armed Forces to fill a shortage due to “normal wear and tear” of equipment and increased demand, the Defense Ministry has said. Currently, the Lithuanian Armed Forces use HMMWV and Toyota Land Cruiser 200 armored all-terrain vehicles. The Oshkosh L-ATV/JLTV is a light combat multi-role vehicle which combines field-proven technologies, an advanced crew protection system that provides MRAP-level protection and expeditionary levels of mobility in a light-duty profile. Equipped with the Oshkosh TAK-4i intelligent independent suspension system*, this Light Combat Tactical All-Terrain Vehicle delivers new levels of agility to safely traverse rugged terrain and compressed urban areas. 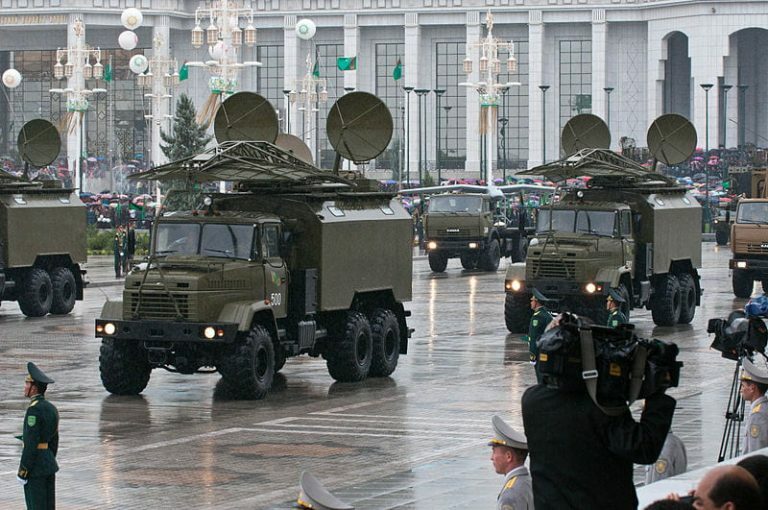 The L-ATV can be fitted with a wide range of remote-controlled weapon stations or ring mount 7.62 or 12,7mm machine gun. The L-ATV’s Oshkosh roof mounted turret is capable of mounting either an M240 machine gun, a Mk.19 grenade launcher or, a BGM-71 TOW anti-tank guided missile, all of which can be operated either from the turret or remotely inside the cabin. 100 milhões para 200 Oshkosh L-ATV/JLTV enquanto nós pagamos 60 milhões para 139 Vamtac st5, 1/2 milhão p Oshkosh contra 430 mil p/Vamtac !!!! Oh diacho, qual é a nossa desculpa desta vez? São demasiado grandes para os KC? Colocando em perspectiva os 2 negócios, este parece muito melhor, mas confesso que desconheço os parâmetros do concurso. Ainda tenho esperança, se nos arranjarem uma boleia, os que estão emprestados no Afeganistão, ainda venham cá para parar quando a missão acabar, senão o mais provável é acabarem nas forças afegãs, uma vez que o US Army, provavelmente até já os retirou do inventário activo. Esta Oskosh estava nas favoritas do Exército juntamente com as Iveco e mais 3 viaturas. Mas não apresentaram proposta para concurso. Acredito que também seja isso mas o que me venderam foi mais relacionado com a capacidade da linha de montagem. Estas empresas preferem contratos grandes e acabam por ignorar os mais pequenos. 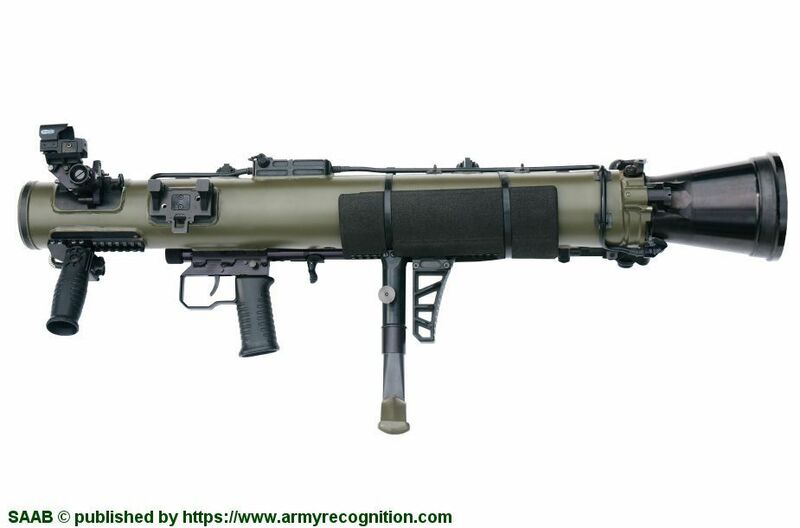 Saab has received an order for deliveries of the new Carl-Gustaf® M4 multi-role weapon system to the Slovenian Armed Forces. Deliveries will take place during 2018-2020. Slovenia is a new customer of the Carl-Gustaf system, and Saab’s ninth customer for the Carl-Gustaf M4 version since its launch in late 2014. The Carl-Gustaf M4 is the latest version of the portable, shoulder-launched, multi-role weapon system. It gives users a wide range of engagement options and allows troops to remain agile and effective in any scenario. It builds on the system's formidable capabilities, offering a higher degree of accuracy, lighter construction and compatibility with future innovations. The M4 is also compatible with future battlefield technology developments such as intelligent sighting systems and programmable ammunition. “The Slovenian order is further proof that Carl-Gustaf M4 is the number one multi-role weapon on the market. We are happy to introduce the Slovenian Armed Forces to Saab’s Carl-Gustaf M4 with outperforming capabilities and high tactical flexibility, and we feel confident that the end user will be satisfied”, says Görgen Johansson, head of Saab business area Dynamics. The new version retains all the effectiveness and versatility of the proven Carl-Gustaf system while introducing a range of major enhancements. These include a lighter weight design (weighing less than 7 kg), a round counter, improved safety and intelligent features, such as compatibility with future intelligent sighting systems and programmable ammunition, which collectively offer significant operational improvements for the soldier. The weapon is fully backward compatible with all ammunition types. Leonardo Defence Systems has confirmed that the Italian Army placed its first contract for 11 Centauro II 8×8 Mobile Gun Systems (MGSs) in July. Details about the contract were revealed to Jane's in November. This order comprises the single prototype to be brought up to full production standard, as well as 10 new Centauro II vehicles and a two-year support package. Extensive user trials resulted in several suggested improvements, and these are being fitted to the prototype that will be completed in 2019 for final test and evaluation. Improvements include installing an identification, friend-or-foe (IFF) system, latest generation radios, and new grenade launchers that are to meet the European environmental requirements. The commander and loader's hatches are to be capable of being lifted through 180°, and the driver's situational awareness is to be improved for driving in the closed-hatch position. The roof-mounted Hitrole remote weapon system (RWS), armed with a 12.7 mm machine gun (MG), will be repositioned because its location on the forward part of the turret roof can restrict the view through the commander's Leonardo Attila stabilised day (colour charge device camera)/third-generation thermal sighting system that includes a laser rangefinder. Production of the complete hull and running gear will be undertaken at Iveco Defence Vehicles Bolzano facility, while the turret is to be manufactured at the Leonardo Defence Systems facility in La Spezia. The first four production Centauro II 8×8 MGSs are slated to be complete in the last half of 2020, followed by another six in 2021. The Italian Army's total requirement for the Centauro II 8×8 MGS, funding permitting, is for 148 units in two batches of 74, with tranches within these batches. 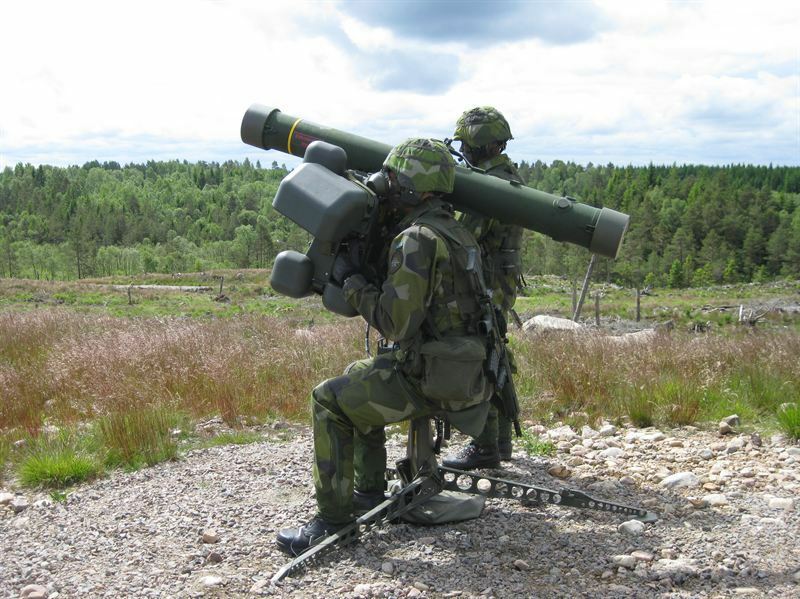 Saab has received an order for RBS 70 BOLIDE missiles from Irish Defence Forces, the total order value is approximately 60 MSEK and deliveries will take place in 2019-2022. Ireland has been a RBS 70 customer for more than 30 years; this order contains the BOLIDE missile, which is latest missile available for the RBS 70 system. “With this order Ireland continues to improve their air defence capability. The BOLIDE missile is our most advanced RBS 70 missile yet, with a top speed of Mach 2 and an effective range for up to 9000 meters, it provides excellent protection for their forces and a deterrent to opponents”, says Görgen Johansson, Head of Saab business area Dynamics. The Saab portfolio of short-range ground-based air defence missile systems includes the RBS 70 and the latest version, RBS 70 NG. The RBS 70 system has an impressive track-record on the market with more than 1,600 launchers and over 17,000 missiles delivered to nineteen countries. General Dynamics European Land Systems - Santa Barbara Sistemas (GDELS-SBS) is completing the first of 36 Pizarro combat engineer vehicles (CEVs) for the Spanish Army at its Seville facility. Following company trials, the vehicle will be handed over to the Spanish Army for formal qualification in early 2019, and will then be followed by 35 production vehicles with final deliveries due in 2021. The Pizarro CEV has a new all-welded steel hull design with a higher level of ballistic and mine protection than the Pizarro infantry fighting vehicle (IFV) deployed by Spain; this is based on General Dynamics' Austrian Spanish Co-Operative Development (ASCOD) platform. Mounted at the CEV's front is a Pearson Engineering Common Interface Attachment (CIT), which enables various engineer equipment to be rapidly attached. All vehicles are to be fitted with the hydraulically operated Pearson Earth Anchor Dozer Blade (EADB), which can be used for earth moving, obstacle reduction, and mobility support tasks. This can be rapidly replaced in the field by the Pearson Engineering Light Weight Mine Roller (LWMR) or Surface Mine Plough (SMP) to neutralise scatterable mines and munitions. Mounted on either side at the rear of the hull is a Pearson Engineering Obstacle Marking System (OMS), known as Pathfinder. When deployed on mine-clearing operations these are swung outside of the hull and dispense marker poles into the ground as the vehicle moves through the cleared minefield. The Pizarro CEV's crew consists of a commander, gunner, and driver, and it can carry six engineers. The latter can be reduced by one to enable anti-tank mines (ATMs) to be carried for manual laying. The vehicle is fitted with a Rafael Advanced Defense Systems Mini Samson remote weapon station (RWS) armed with a stabilised .50 M2 machine gun (MG) that is fed from the left with a sensor pod on the right. A fabricante japonesa Subaru realizou com sucesso no dia 21 de dezembro o primeiro voo de um protótipo do helicóptero multiuso UH-X, junto a instalação da fabricante em Utsunomiya. A Israel recebeu o sistema de radar passivo de longo alcance móvel de nova geração Kolchuga-M passive radar fabricado pela Ucrânia. O Kolchuga-M é um sistema passivo de suporte eletrónico que permite identificar alvos terrestres e superficiais e rastrear seu movimento em um raio de até 600 km e alvos aéreos aos 10 km de altitude – até 800 km, o que torna este sistema bastante eficaz de defesa antiaérea. A estação Kolchuga-M é equipada com cinco antenas ativas de gama métrica, decimétrica e centimétrica, que fornecem alta sensibilidade de rádio dentro de uma faixa de 110 dB/W – 155 dB/W, dependendo da frequência. De acordo com a página GlobalSecurity.org, a faixa de detecção de 800 km é alcançada apenas pelo sistema ucraniano Kolchuga-M. O melhor que o AWACS (EUA) faz é de 600 km, enquanto os complexos terrestres Vera (República Checa) e Vega (Rússia) podem alcançar até 400 km – metade do que o complexo ucraniano alcança. O limite inferior da frequência de trabalho de Kolchuga-M é de 130MHz, o mais baixo de todos os seus análogos. O AWACS usa 2.000 MHz, Vera fica aos 850 MHz, Vega aos 200 MHz.